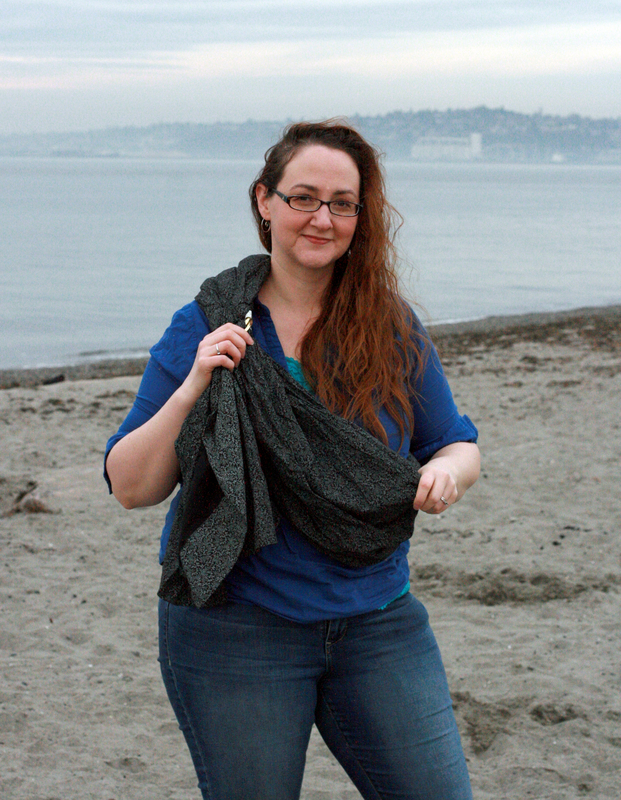 See how the sling makes a pocket? 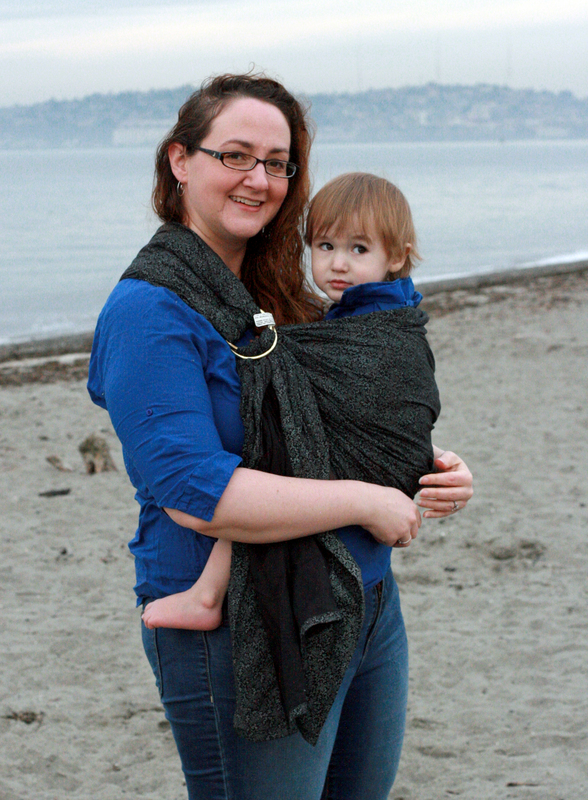 One side of the sling will be against your body, and one is on the outside. 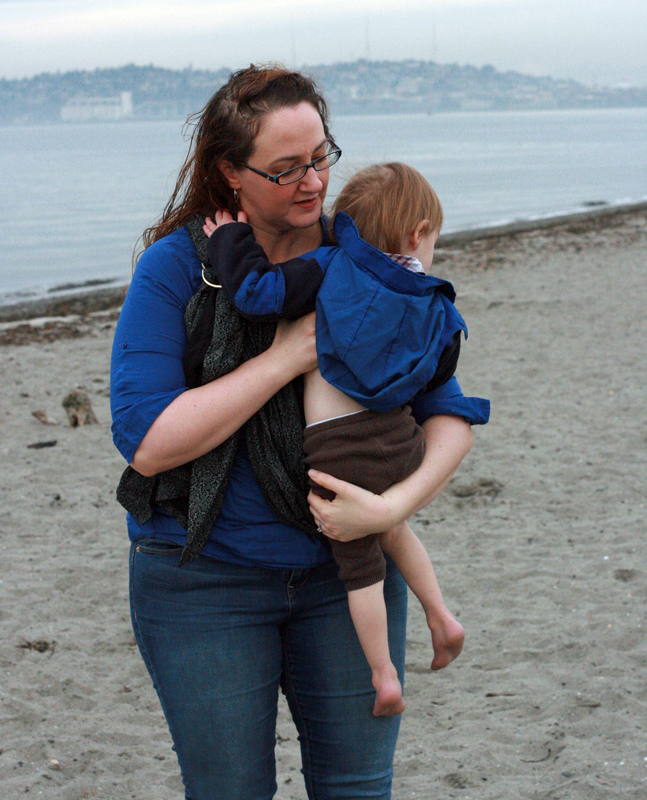 There should be fabric between you and the baby, so that the baby’s sitting in that pocket. Now tighten the sling at the rings. Take your time and adjust it till it’s secure. What to keep in mind is that there are several “rails” or sections of fabric, such as the inner portion under your baby’s knees, the middle section over your baby’s bum, and the top rail at the top of your baby’s back. 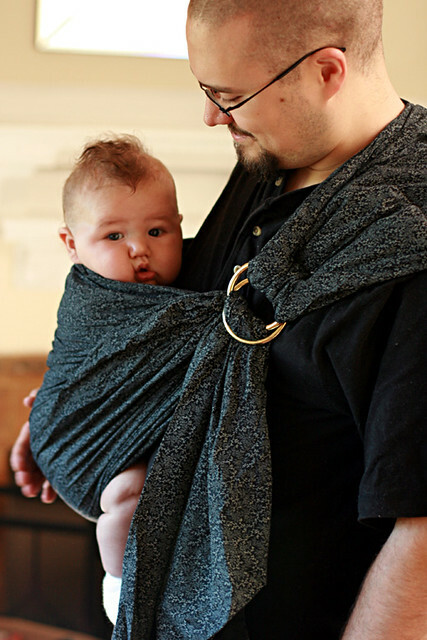 Pull each one in turn until each is snug and the baby is cuddled close against you. 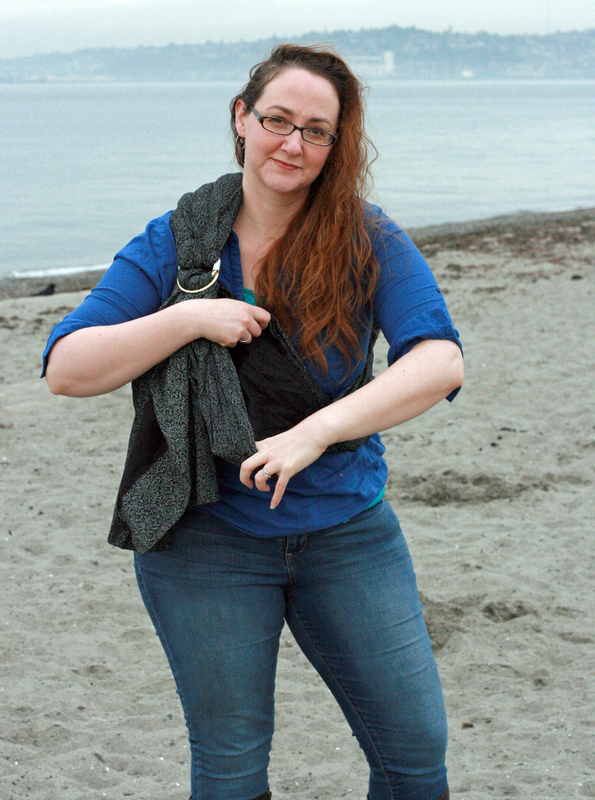 Nursing in a ring sling in a front or hip carry is simple. 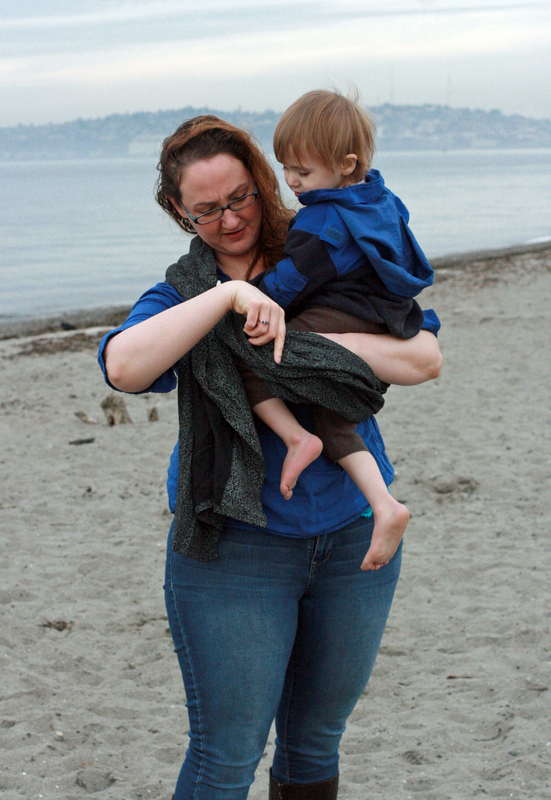 Loosen the rings until you can bump your baby down to breast height, latch on, and then retighten as needed. Experiment with keeping your nursing bra latched — the extra support can function like a shelf for your breast, potentially letting you nurse hands-free. 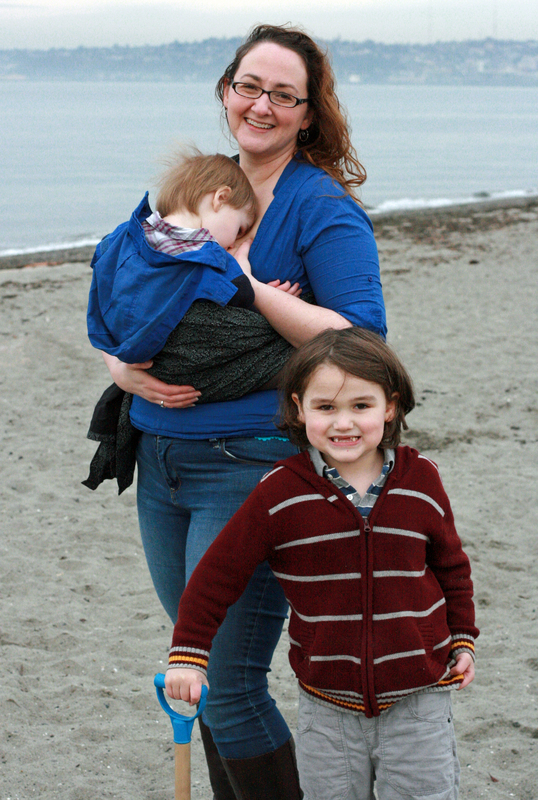 This article is excerpted from my new ebook, The Natural Parent's Guide to Babywearing: Baby carriers and baby carrying made simple. 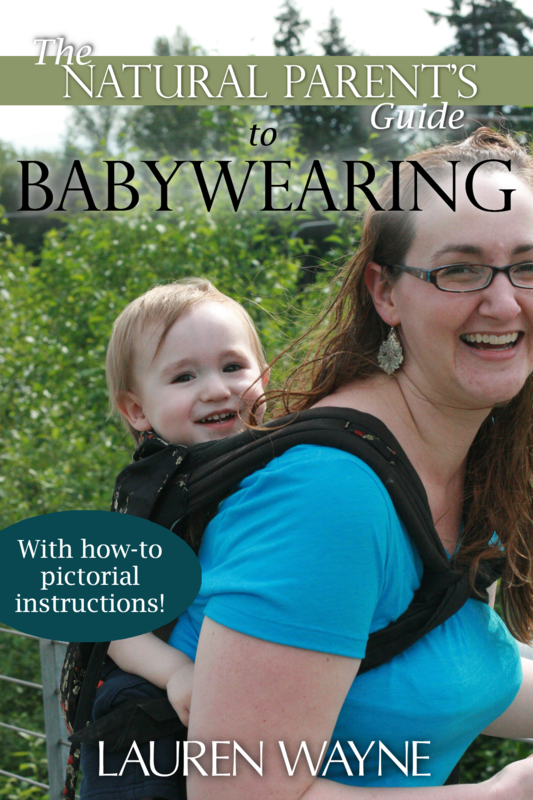 This 154-page, pictorial ebook is a Babywearing 101 class, giving an introductory overview of babywearing, along with troubleshooting ideas for special circumstances. 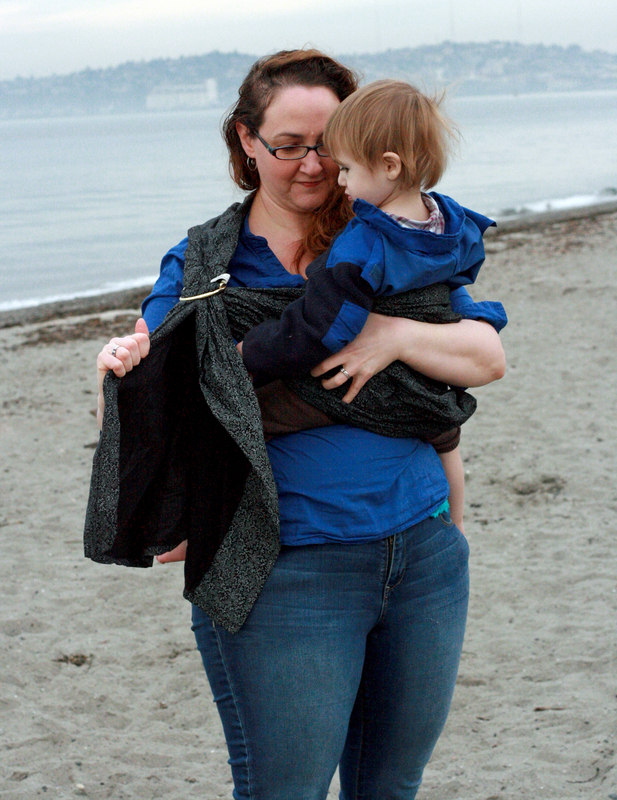 We'll talk about the benefits of babywearing, types of common carriers, how to babywear safely, picture how-tos for tying the most popular carriers, tutorials for making your own carrier, and a list of helpful resources for information and support on your babywearing journey. The Squishable Baby is giving away two e-copies through April 8, so head over now to enter! The giveaway is open worldwide. 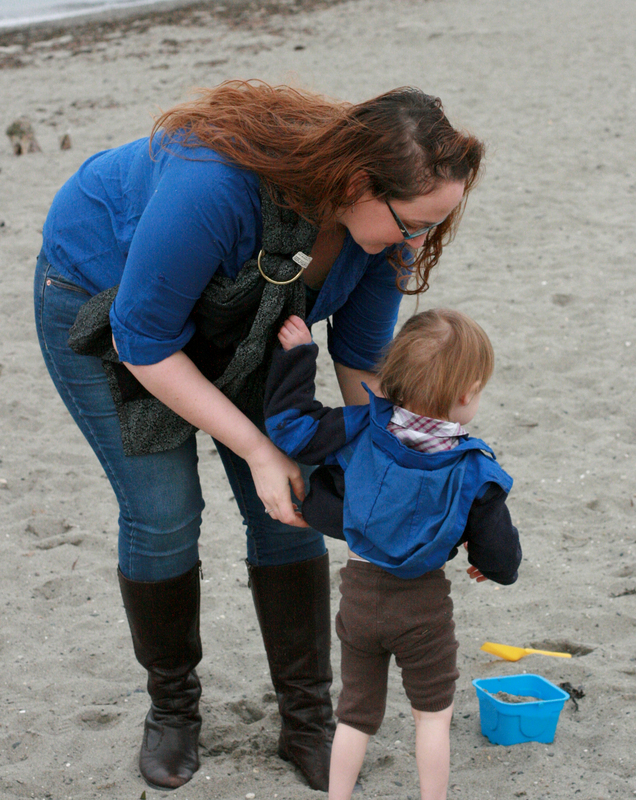 It's also part of the offering by my affiliate partner Mindful Nurturing: The Essential Parenting Collection, 35 e-resources devoted to transforming your parenting, and the Early Years module, 6 hand-selected resources on parenting young babies and toddlers. You can also buy the PDF e-book version on my site, the Kindle version on Amazon, or the ePub at Smashwords, any for $9.99. 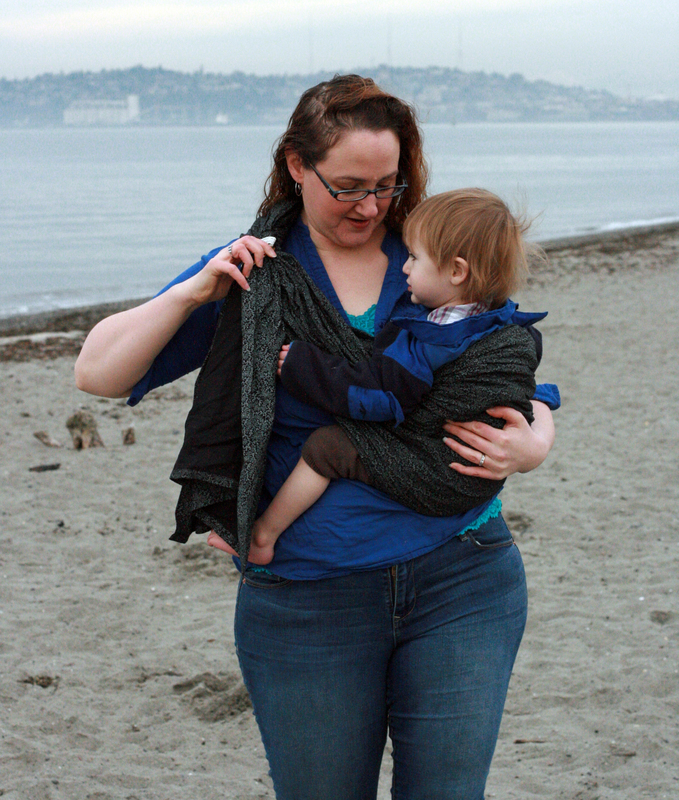 Read more and ask your babywearing questions at my babywearing resource page. I hope you enjoy. 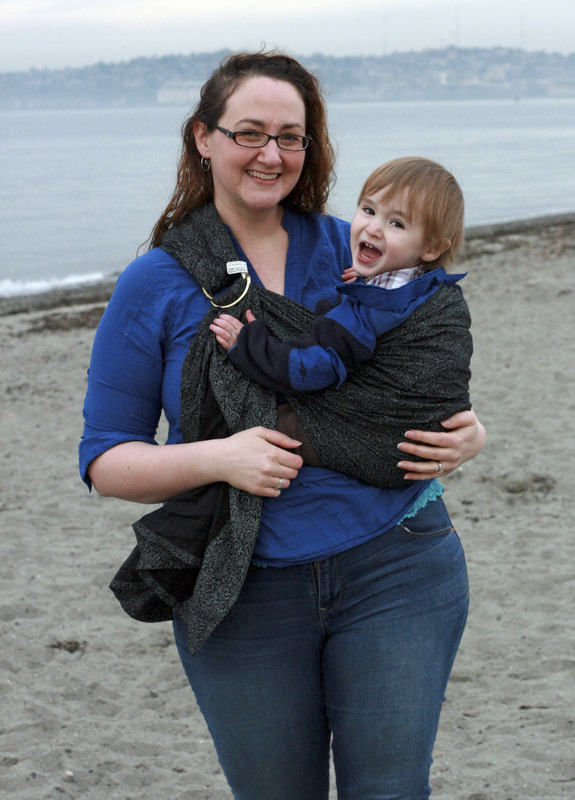 Happy babywearing! 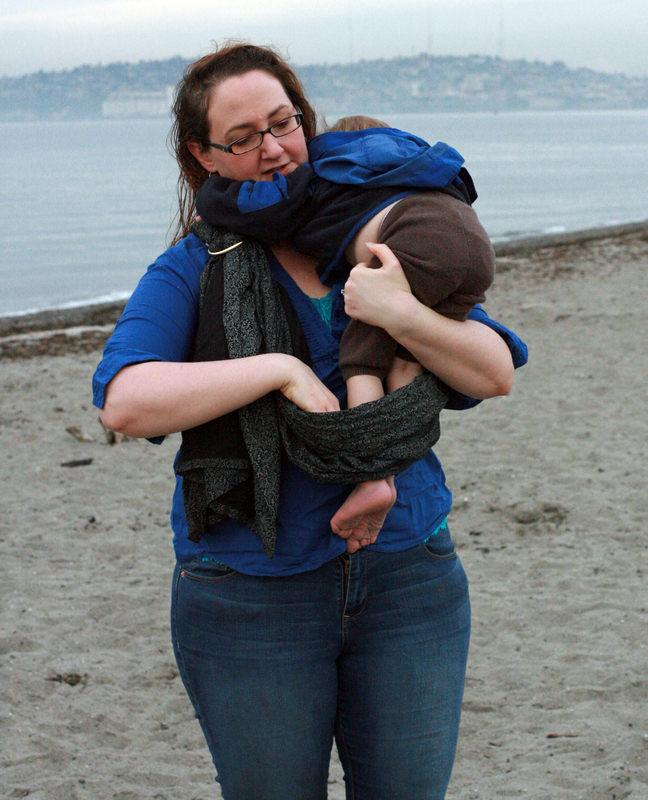 What's your favorite baby carrier and why? 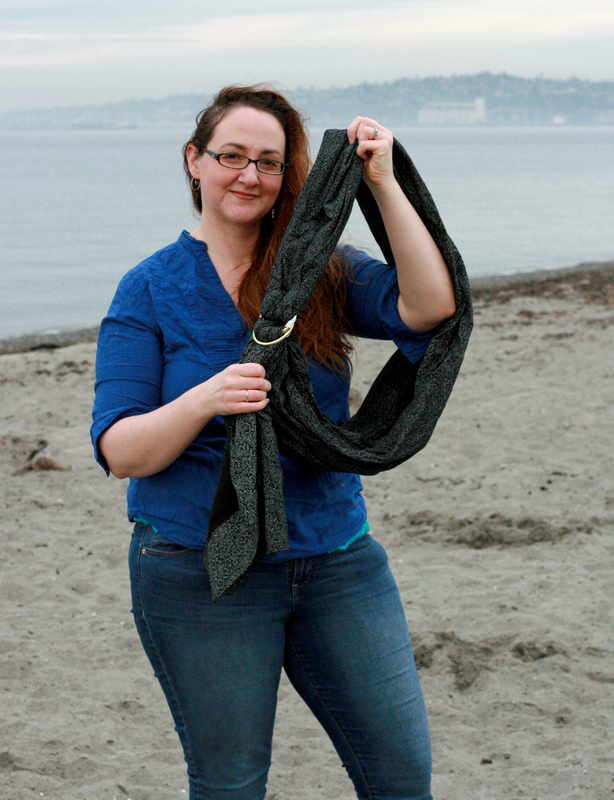 Do you dig ring slings?